Eleven jobs are set to go as part of a regional publisher’s drive to centralise the sub-editing and advertising operations at its daily newspapers. DC Thomson has confirmed it is seeking to make five production journalists redundant, as well as six advertising staff. The redundancies are being sought as part of a plan to introduce teams working across its four dailies – Aberdeen-based titles the Press & Journal and the Evening Express, and Dundee-based titles the Evening Telegraph and the Courier. The company says the changes will help ensure a “healthy and profitable future in the media world”. The changes will mean the closure of dedicated subbing departments at the group’s four daily titles, although each newspaper will retain its own senior sub-editors. 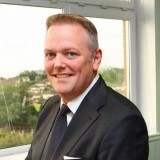 Mike Watson, pictured, managing director of DC Thomson Media, said: “The media environment continues to be challenging. Due to these challenges we are reviewing functions within the business to ensure we have a healthy and profitable future in the media world. “We are working with some of our newspaper and advertising teams to change working practices. These changes are process driven, introducing teams that work across our newspaper portfolio and advertising categories. Stand by for dilution of local news and knowledge. You know, we’re getting so much news like this recently that its power to shock has disappeared entirely. All I feel these days is incredibly sad. Best of luck to all those involved. I agree @echo, the power to be shocked has long gone due to the constant announcements of closures and downsizing which just goes to underline the sorry state the industry finds itself in. Any thoughts of job cuts leading to heightened profitability and a return to vast numbers of people buying local papers is laughable,local papers are all but gone as viable business propositions and monetising weak digital offerings has spectacularly failed to happen and will never produce the levels of sustainable revenue needed to finance a business, all that’s happening now are desperate attempts at reducing costs and merge processes whilst trying to manage rapidly and constantly declining businesses. There’s no long term future for the once bigger publishers burdened with high overheads,multi level of managers and weakened publications being run by inexperienced staff. Sad times indeed so all good wishes to those about to be shown the door. Does the grinning md pictured above really believe these cuts will result in a “healthy and profitable future”? Presumably he must have shown his board tangible evidence and financial projections to give his name to such a bold claim. If he does believe it then he should be judged exactly by those key standards, not just by the salaries saved, as in seriously declining markets for both readers and advertising sales that’s a big statement to make,however at least DCTs shareholders will know who is to be held responsible if the company’s profits fail to increase in both the short and longer term.